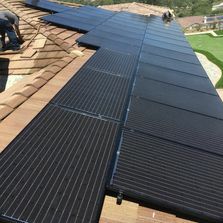 Alderete Solar is proud to be an Authorized Solaria Installer. Designed to exceed an industry leading 25-year warranty, Solaria modules are certified to the highest quality standards ensuring reliable power generation day in and day out. Copyright © 2018 Alderete Solar · All rights reserved.